Mirror, mirror, on my arm: Why am I looking at the sky? Unlike most mirrors, the Rearviz Classic won't get snapped off or stolen because you wear it on your arm. That's the good news. The bad news is that if you move your arm from its one optimal position, the mirror ends up pointing at the sky - or your own shoulder and ear. The Rearviz is a 43mm diameter convex mirror that flips open like a makeup mirror. The mirror sits on a curved mount that you strap to yourself with a Velcro arm band. This strap comes in a choice of lengths. The test mirror's was nominally 245mm ('small'), but in fact there were two straps in the box: one 240mm, one 340mm. Each of the straps has a little pocket in it to hold a plastic tag (24x35mm) on which you can write your in-case-of-emergency details. The mirror has a firm hinge and, when not snapped shut, can be left open at the acute or obtuse angle of your choice. The mirror itself can be rotated in its mount. So whatever angle your arm is at, and whether you fit it to your wrist, forearm or upper arm, you should be able to find one position in which it shows the road behind you. And it will be one position: when you move your arm, you lose your rear view. I set it up so that I could see behind me when my hands were on the brake hoods and I was sitting on the saddle. I didn't find it especially useful like that: my right elbow is not in my eyeline when riding, so I had to dip my head down and to the right to see in the mirror. I do that anyway – just further – when I glance behind. Still, I did sometimes see cars behind me sooner than I otherwise would have. When I moved my hands to the drops, I found myself looking at sky and tree branches. When I got out of the saddle, I looked at sky. When I moved my hands to a transverse position on the bar tops, I looked at my shoulder and the side of my own head. Initially, I tried faffing with the mirror to get a better view in its new position. That was distracting, however, so I wouldn't recommend doing so in traffic. And in any case, as soon as I moved my hands again, the mirror was no longer pointing the right way. Overall, the Rearviz was the least useful cycling mirror I've tried. My previous least favourite was the frame-mounted BikeEye, which mostly showed my right leg or my saddlebag, irrespective of how I adjusted it; it ended up in the bin. Above that I'd rank Topeak's Bar 'n' Mirror, which was like squinting through a letterbox but which was occasionally useful. Next, Blackburn's dentist-like helmet mirror: its image was tiny and vibrated a lot but was always in your field of view. My favourite mirrors have been simple Blackburns and Zefals that fix to flat handlebars. Such mirrors are great when cycling with children, as you can keen an eye on your passenger(s), and they're also good at showing the road behind. But they are vulnerable: I've broken – or had broken – all I've used. So now I don't cycle with any kind of mirror. I wouldn't mind trying the Cycle Aware Bar End Roadie Mirror. As for the Rearviz, I suppose it is nicely made. If you cycle with your arms locked into one position, it might work for you. I don't; it didn't. The price of £24 is approximate. 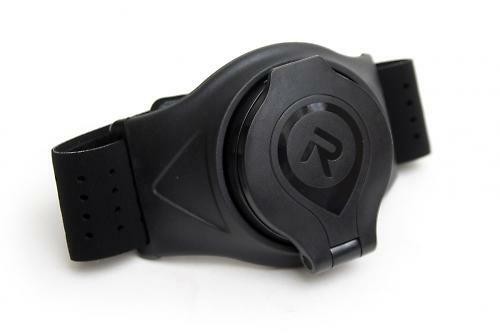 It's $39.99 Australian dollars from the rearviz.com website, which is $24 at current exchange rates, plus shipping. It may get sold directly in the UK for 2014. It's actually really well made. I move my hands around when I cycle, so it was basically useless for much of the time. For me, it's a waste of money. I cannot imagine a situation in which I'd choose to use it. Your mileage may vary. Some of the time, adequate. Some of the time, useless. So I've split the difference between a rating of 5 and 1. It's been put together well and is unlikely to break any time soon. Looking at the sky or myself instead of the road behind. Distracting. Every cycle mirror I've used has been better than this, and some of those have been no great shakes. Can somebody, please, please, please, photo shop one of these on to Chris Froome's arm? This is a FANTASTIC mirror. But whatever the makers say, it only really works worn where you would put your wristwatch, and not on the elbow where your reviewer put it. I wear mine slightly tilted against the wrist-bone, with the mirror opened to about 85 degrees. I then have a perfect view back along the road, similar to what you get from a car wing mirror, as well as a view of who or what is on your shoulder. And in this position it works perfectly on the Hoods and on the drops (though if you use the tops much you'll need a bit of a compromise giving you a bit less width of vision). Now that my neck doesn't turn as well as it did when I was younger, I find it essential, and I wouldn't ride without it. A quick glance tells me all I need to know about what's behind me, and I can concentrate on where I'm going. Your review, though accurate about how well it is made, will have put people off this excellent product. Could you try it again worn as I recommend? When I first got it I said "That will save my life one day" and I still think that's true. I feel much safer knowing everything that's going on around me, and am enjoying my riding much more. And riders I've shown it to have been equally impressed. Very useful for club runs. As I said, this is a great safety product, and I wouldn't ride without it - though I still do the Lifesaver if in any doubt.